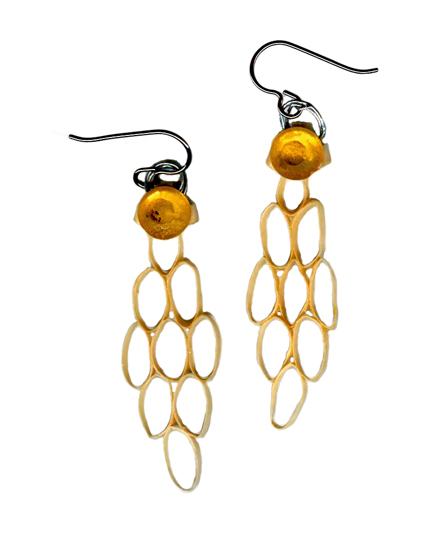 � Delicate parchment honey-comb earrings with sunny yellow crystal accents set you apart from the mundane. Romantic and refined, these filigree earrings make a noble statement in their intricate simplicity. 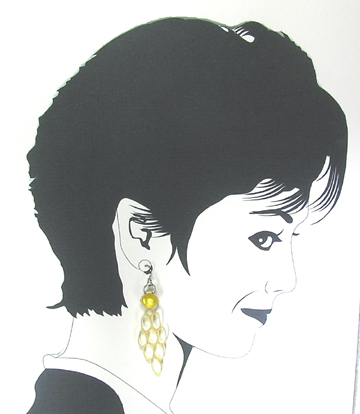 Created by the art of paper quilling, they are light-weight and gentle on even the tenderest ears.